Are your lips dry and chapped? Cracked lips are general pain in winter. Winter is the season which requires skin care of complete body and a special care of your face. I recently shared my winter skin care routine (Review Here), and this is the time to share something to nourish and moisturize lips in winter. 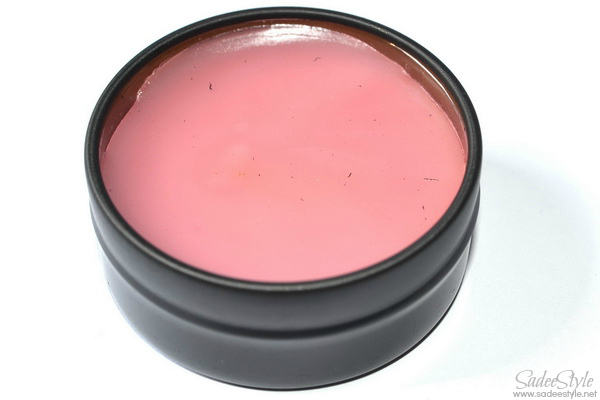 There are various kind of lip balms available in the market in different brands, but we have to choose the right brand and balm according to our skin type. Everyone has different skin type, what works best for me may not work well for you. I have a dry and patchy skin, usually my lips are chapped in winter. I've been using Yardley Vaseline to moisturize my lips for over 12 years, but now I realized it's 2013 and everyone is using stylish and cute lipbalms when I'm the only one who use old fashioned ways to moisturize my lips :) sounds funny, right? Well Yardley worked pretty well for me for a long time since I was so young and still working well, but it feels bit warm, heavy and thick on lips. 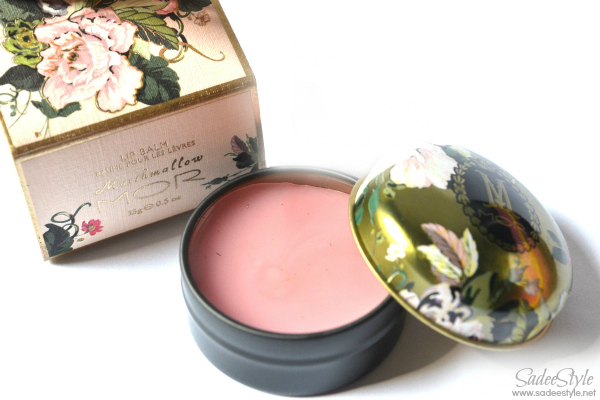 I hate this feeling so I was looking something that feel fresh, light and sweet on lips. 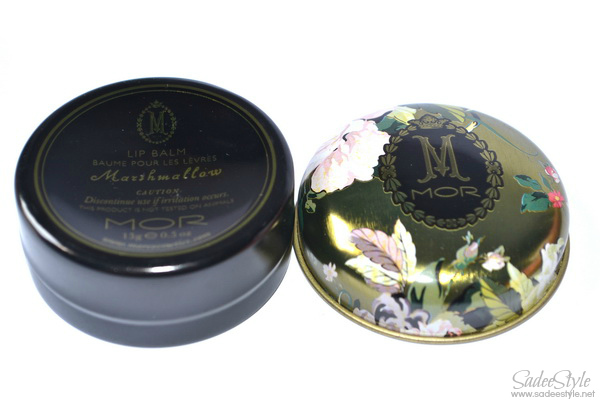 I'm sharing my review on Marshmallow lip balm by MOR cosmetics, MOR is an Australian brand and globally recognized because of its range of innovative body care products, the philosophy behind the brand is to provide a personalized sensory journey through creating a memorable pampering experience from the visual packaging to the product offerings. 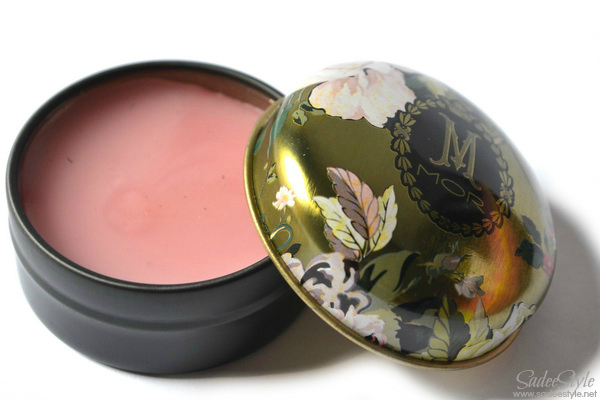 I love MOR cosmetics because of the beautiful packaging and Marshmallow lip balm comes in a sweetest packaging ever. 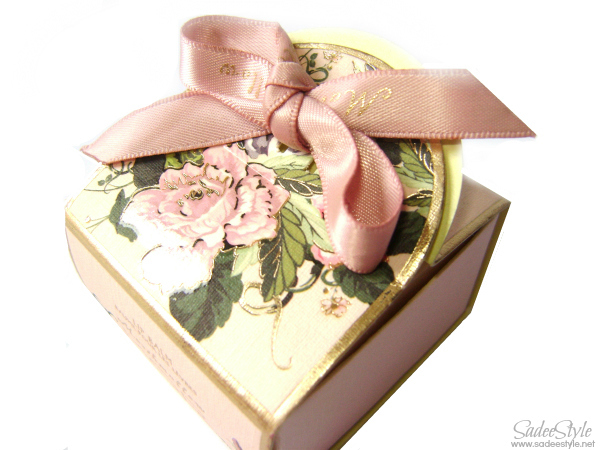 The product comes in a floral tin that was wrapped in a box like usually wedding rings comes in. The Smell is pleasant like a candy. Not suitable for very dry lips. Not available at local market. Awwww i love their packaging . Its so cute. Love the packing as well! So cute! Hmmm, somehow I like the color. Well I don't have too-dry lips so maybe this will work for me hehe. You have a really nice blog. For sure I looked in here more often.